Mellis is a small village in Suffolk, England. It has the largest area of unfenced common land in England. 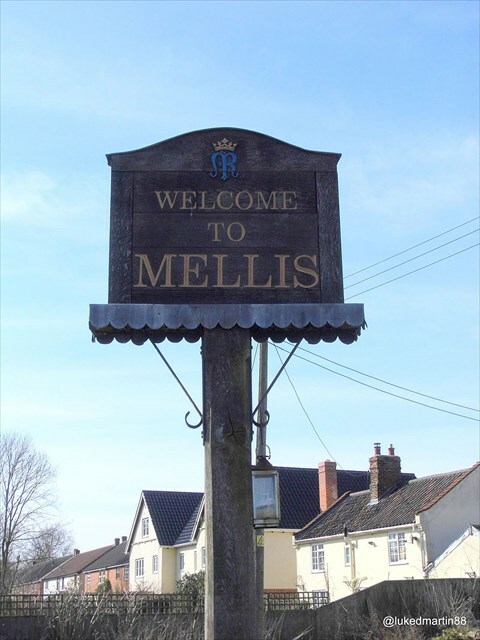 Oliver Cromwell exercised his troops in Mellis. It once had a railway station on the main line between London and Norwich and a small branch line that ran to nearby Eye. In summer rare plants such as green-winged orchid, sulphur clover and adder’s tongue fern flourish. The abundance of small mammals also makes the site a favourite hunting ground for barn owl and tawny owl. The 14th century parish church of St Mary, restored in 1859 and 1900, is a grade II* listed building.